Very Good. 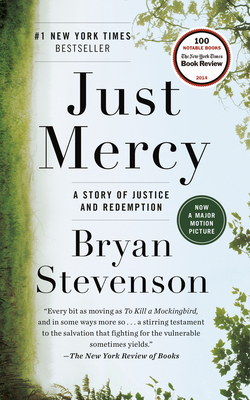 A powerful, bold true story about the potential for mercy to redeem us, and a clarion call to fix America's broken system of justice-from one of the most brilliant and influential lawyers of our time. Trade paperback (UK). 352 p.
Fair. Some corner dings. An acceptable and readable copy. All pages are intact, and the spine and cover are also intact. The author and civil rights lawyer Bryan Stevenson has some hard bark on him: for dozens of years now, traveling into the backwater towns of Alabama (and other places in the South) to defend and save the lives of inmates, many of whom were railroaded onto death row. He centers his soul-sparking memoir on the especially egregious case of Walter McMillian in Monroe County, AL, interspersed with brief sketches of examples nationwide proving particular types of injustices in our criminal 'justice' system, such as death sentences for juveniles, and the flagrant sentences of juveniles and those with severe mental disabilities to life without parole. Stevenson captivates the reader with a narrative that fuels his anti-death penalty argument with the force of forked lightning.